Morocco’s deserts are an intense and glorious landscape that reward exploration. 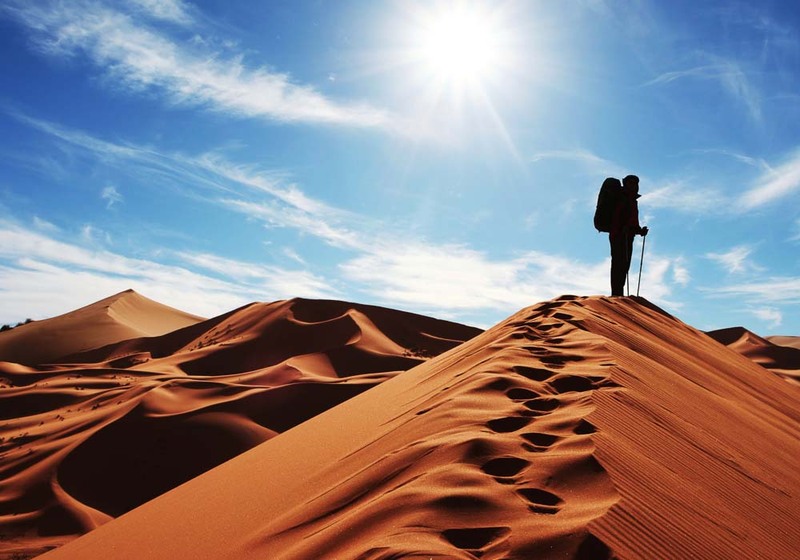 The dunes of the Sahara, the world’s largest hot desert, offer a harsh and beautiful landscape in which civilisation and nature have bloomed, and the best way to explore this remarkable landscape is by embarking upon a trek, often by camel, and with the option to sleep under the vast starry skies. Whether it’s exploring the deserted white sands of Plage Blanche or gazing upon the tallest dunes in the world in Erg Chebbi, there is an adventure waiting for everyone. 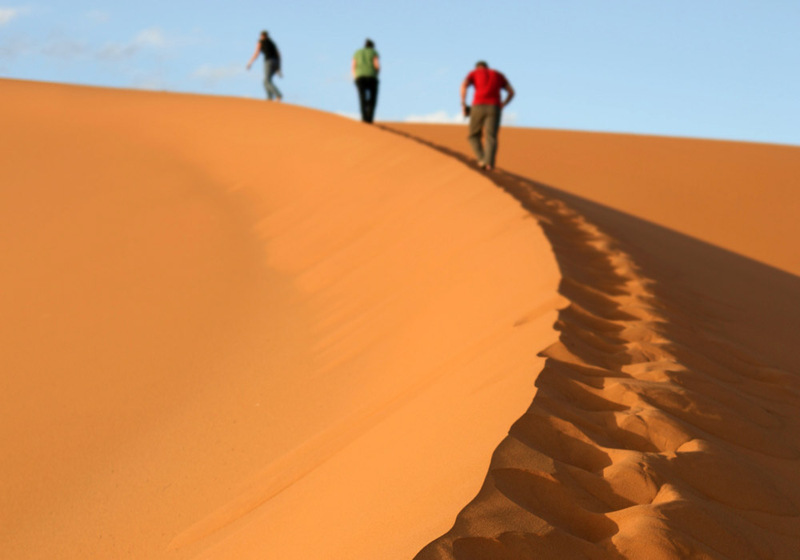 If there’s one reason people come to Merzouga more than any other, it’s to take a trip out into the desert. When you arrive in this distant town in the south of Morocco, your gaze can’t help but be drawn to the seemingly endless sea of sand that spreads out before it. 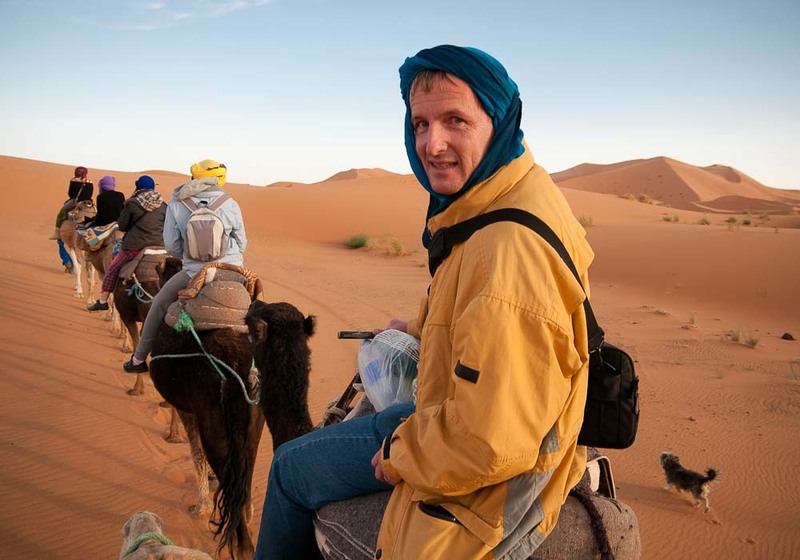 There are many local companies and independent guides who will take you out into the Sahara, not just to the majestic dunes of Erg Chebbi, but also to the little villages where you can meet the people who live in this spectacular environment. The historic city of Ouarzazate, guarded by the stunning Atlas Mountains to the west and the Sahara Desert in the east, offers an adventurous range of activities and opportunities for all to enjoy in stunningly rich surroundings. 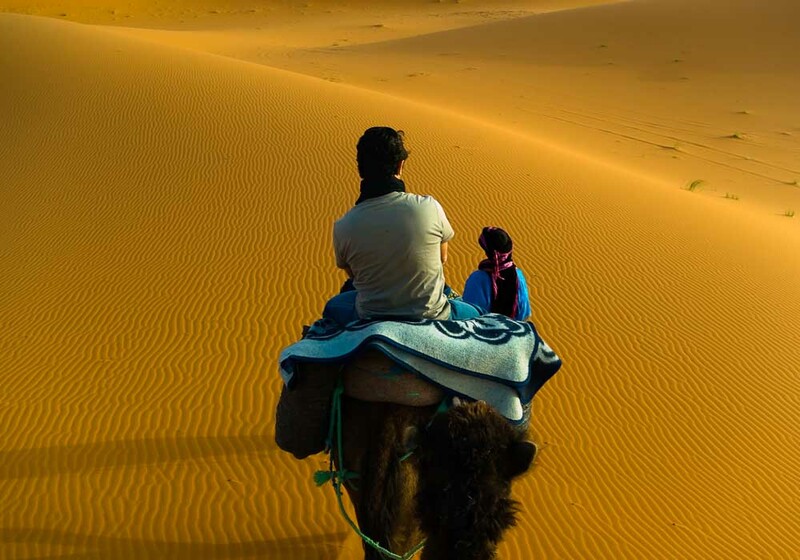 Head east from Ouarzazate and you’ll soon be trekking through the deep golden sands of the Sahara, sat behind a camel’s hump, trotting along on a horse, racing on a 4×4, or sticking to the fabulous foot trails and feeling the sand beneath your soles. There are well established companies in the area which can offer you a taste of the nomadic Amazigh lifestyle, sleeping out beneath a blanket of stars, to be woken by the first golden rays of the sun hitting the dunes. The ancient Ksar of Aït Benhaddou lies nearby and as you explore it may even start to feel familiar – it’s provided the backdrop to many blockbuster films.